Would it be ironic if we said that what we raved about "Brooklyn" is not its love story but the other deeper relationships our immigrant protagonist encounters? 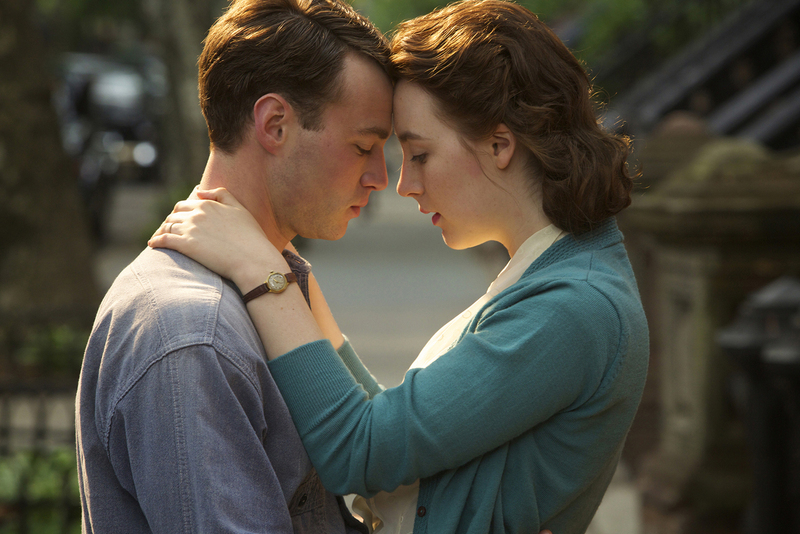 It is what it is but "Brooklyn" works not because it delves into a love triangle of sorts. It is its sentimental look into the inner workings of going into the unknown and into a new country - of what a lot of human beings have endured, encountered and are still doing nowadays just for the hope of having a brighter future - has us truly enamored. Eilis (Saoirse Ronan) has lived her whole life in tiny Enniscorthy, Ireland. Languishing away in a situation where she feels she has no purpose in her hometown, Eilis is swept away to America with help from her thoughtful sister.As Eilis arrives into Brooklyn, New York a sudden burst of homesickness overwhelms her, feeling like an exile. But as she learns to adapt to life as a New Yorker, she meets an Italian immigrant, Tony Fiorello (Emory Cohen), a funny, sweet, charismatic suitor determined to win her devotion. 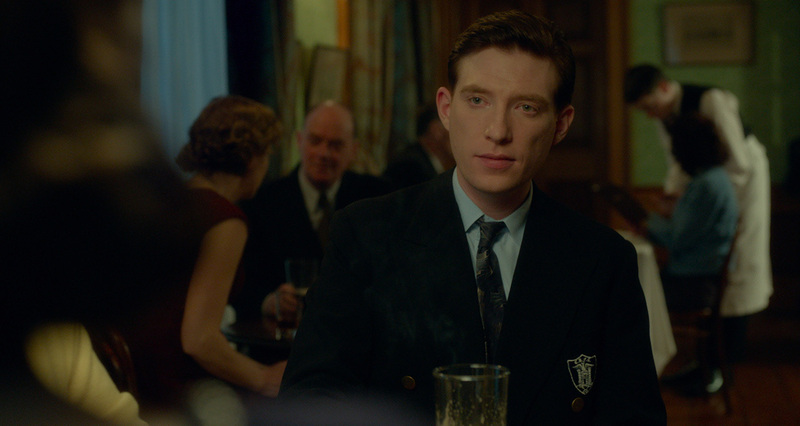 Just as she seems on the verge of beginning a new life, a tragedy brings her back to Ireland where she is pulled back into the life she left behind and meets an Irish gentleman, Jim Farrell (Domhnall Gleeson). Caught between two countries, two men and a decision that could affect her future forever, Eilis confronts a difficult dilemma: figuring out how to merge where you have come from with where you dream of going. 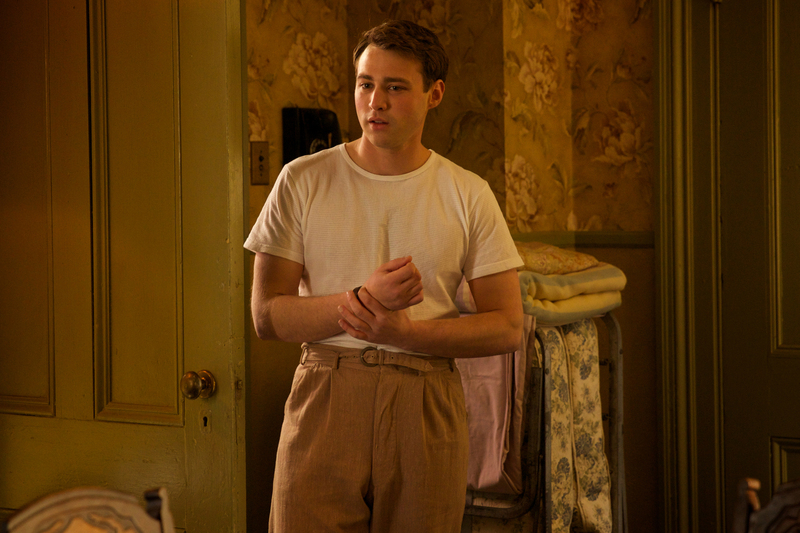 There's nothing to really hate about "Brooklyn" as a historical period film. The backdrops are nicely set and done. It really feels like its harkening back to an era that had us amused to say the least. It also helps that the film relies on superb acting from its cast. Julie Waters led the way for the supporting group as her giddy portrayal of an ultra-conservative landlord brought some much needed light-hearted balance against a heavy-dramatic tone. Saoirse Ronan was astounding as Eilis. You really feel her character's struggle as she fights home-sickness, love, and more throughout the few years the film is set in. It is also notable to mention that her and Emory Cohen's chemistry is something to look out for. It's nothing overtly emotional but there was something with the sarcastic, stoic character of Ronan against Cohen's upbeat portrayal that connected with us. What had us disappointed though is the actual love triangle between Eilis, Tony and Jim. It just didn't feel correctly developed and we had a hard time trying to reconcile that Eilis actually fell in love with Jim whom she only met for a month or so. It would have been better if the film portrayed this aspect more clearly as Eilis struggling to go back to Brooklyn because she finally found a purpose in her hometown versus she falling in love with a man in a whim. In any case, the film still has a lot more to offer than just that and that's what's great about "Brooklyn" - it is a deep film not only about love.